I am proud to have been invited to a local charitable event in which I will be a vendor this Thursday night (February 5th) at the Hawthorne Hotel in Salem, MA. Jennifer Pieroni, from the The Salem Mission, along with Christine Robidoux, of Modern Millie, are presenting a fashion show - "The Clothes on Their Backs" to include items from J. Mode, Modern Millie and many more local stores in efforts to raise money for the Salem Mission. 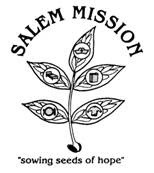 The Salem Mission helps the homeless in our local community in every aspect you can imagine - from transitioning to homes, clothing, providing meals, work and much more. As a vendor I will be donating 20% of my sales from this event to The Mission. I am always happy to support as many wonderful causes as I "can" in a calendar year. This will be one of the only four I will support for 2009. You can read a fantastic article by the Taunton Daily Gazette about this upcoming event. Event Details and ticket purchases can be found at The Salem Mission website. Hope you can swing by for a night of fun, fashion and shopping while supporting a good cause!